Anybody who has happened across this part of the internet might know that for a long time, I seriously hated A/W and it was a time of year where my mental health plummeted. But for the first time, I think maybe ever I’ve somewhat looked forward to the colder months. Last year I started to make a serious change and there are so many factors to take into account when it comes to how you feel in a certain season and here is how I try and keep on top of my mind when the colder months roll around. For some people, they absolutely thrive in the colder months and it’s when they feel their happiest as it’s when we have the most going on with the festive season. However, for a lot of us with those occasions, there can be a lot of mixed feelings which is absolutely normal and something that needs to be spoken about so much more than it is currently. Not everyone’s holiday season is full of festive cheer and loved ones but that’s what we’ve come to expect and if that’s not how someone feels then they’re instantly labelled as a scrooge. As well as the holidays and the pressure to be incredibly social there is also the cold weather and early nights to contend with, which I truly believe take a toll on us all whether we love the sight of the leavings turning to a beautiful shade of orange or not. Seasonal Affective Disorder is a very real thing that around 20% (according to The Guardian) of people in the UK alone struggle with and if you’ve ever had any experience with depression you know how truly awful it can be. If you feel like you are really struggling this year then the most important thing to do is to go and see your GP and let others know that you’re having a hard time. There is absolutely nothing shameful in needing a little bit of extra help. One of the biggest reasons I disliked A/W so much is because I was cold all of the time. And I still get pretty chilly but one thing I am now, very, very good at is dressing for the weather and that is something that has most definitely made me the enjoy the season a lot more. I’m not exactly the most fashion forward person out there and it’s been an awfully long time since I chased trends but I do like to feel my best when I go out and a big part of that for me is dressing sensibly as well as being comfortable in the attire I’m in. I always think that people believe that when it comes to dressing for the weather it means that they have to sacrifice on personal style which isn’t the case at all. 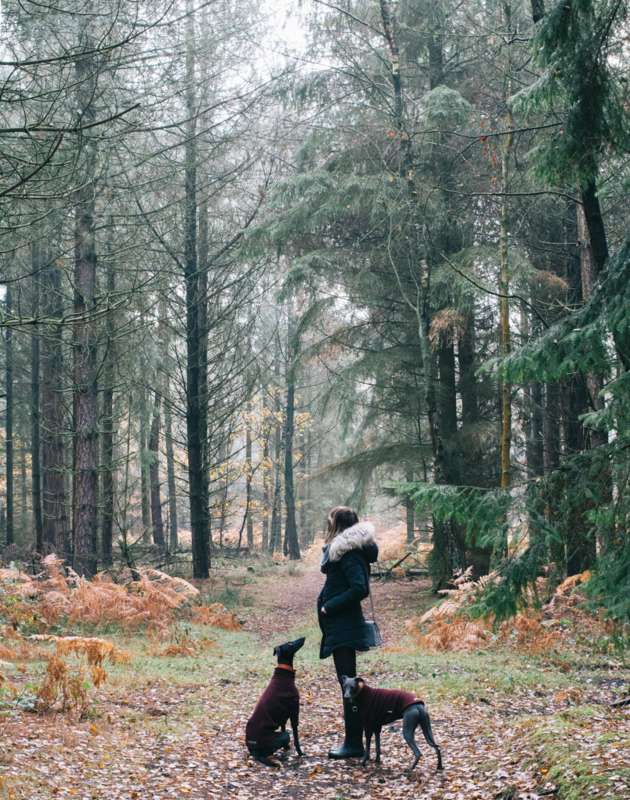 There are so many brilliant clothing items now that can keep you warm and don’t involve wearing an anorak, some of my favourite cold weather brands are; Craghoppers, Barbour, and Patagonia. I’ve got a style post all around the subject coming soon but in the mean time this one from earlier on in the year might be of use! If there is one thing that I know for certain it’s that I’m really not that great at my routine being messed around with. It makes me feel incredibly anxious and worried about just about anything you can think of which of course, isn’t the best way to feel. I mentioned in a post not too long ago about the concept of working seasonally and naturally this is generally something that applies only to those of us who are their own bosses. My routine completely changes in winter work wise and that’s down to one thing, the serious lack of daylight. It makes taking photographs an absolute nightmare and I have very limited hours where I can seriously get stuff done before I’m resigned to computer only work, which isn’t ideal. In the summer, we’re blessed with so much wonderful daylight that it makes getting everything ticked off your to-do list far easier. Although it might seem really difficult at first to embrace the change there are positives that can come from it and you never know, you might find a new way of doing things that you wouldn’t have before. There are still so many things that we're able to do but we might have to find an alternative way of doing it. Going to a garden centre, preferably one with a great pet section and of course, a killer Christmas display. I’m not sure what it is about garden centres but I find visiting them so much fun and incredibly relaxing. 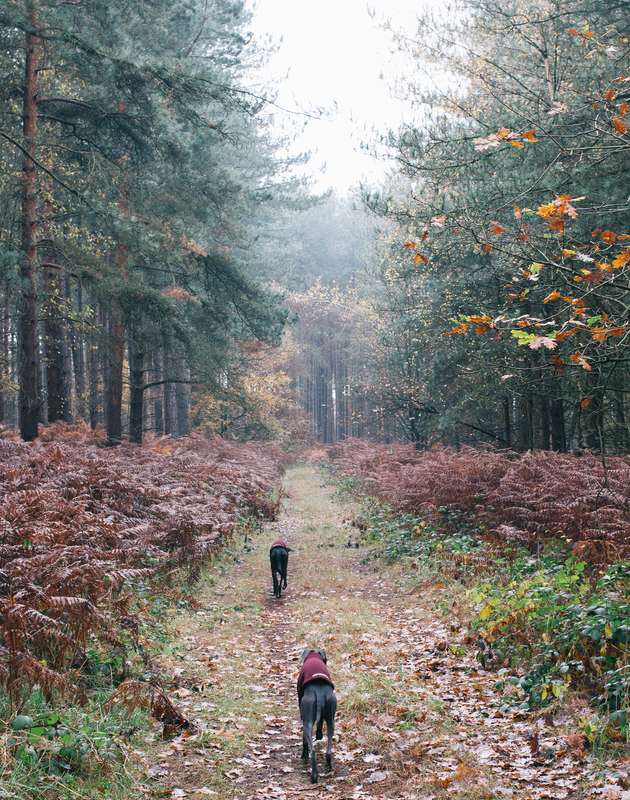 Walks in the woods, it’s something that I do pretty much daily with Josie & Edie but there is something so special about walking through them when the leaves turn. Decluttering at home, again, it’s something that I enjoy doing anyway but when it’s miserable outside there is absolutely nothing better. And because the new year is on the horizon there is no better time to get rid of all the crap hanging around. Keep the house as light and airy as possible whilst still maintaining a serious level of cosiness because it is blanket season after all. Get planning, even though I’m not crazy about the whole ‘new year, new me’ thing I do take this time of year to get a rough handle on what I want to do in the upcoming year. Knit, it’s something that I absolutely adore even though my skillset only goes as far as a scarf. We’re all probably aware of how important it is to get outside but when the weather turns it makes it seriously difficult especially when you work full time and have a to-do list as long as you are to tick off at the weekend. The biggest reason why I spend so much time outside is because I have two dogs who have to go out (unless it’s pouring it down then you better believe those little hounds are not getting out of bed) and I have a somewhat luxury of working for myself so I make my own hours but that isn’t the case for everyone. I know that when I worked in a traditional work setting and was at college with nearly a 4-hour commute each day I rarely saw the daylight and by January it had well and truly taken its toll. Trying to get out as much as you can is so important, even just for 5 minutes on your lunch break can make a difference. At work, I'd always go for a wander around the town or go and get lunch out so I wasn't stuck in the staff room as otherwise you quite literally don't see the daylight in the depths of winter. DO YOU FIND A/W HARD? HOW DO YOU COPE?